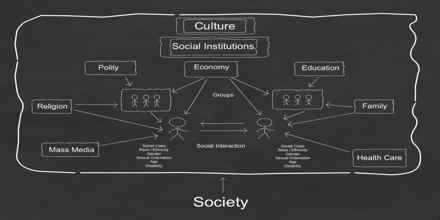 Modern societies are complex, especially compared with other earlier social arrangement. Until about 10-12,000 years ago the hunting and gathering type of society was the only one in existence. The Lenskis focus their research on socio-cultural evolution, or the changes that occur as a society gains new technology. Social structure is a term used in the social sciences to refer to patterned social arrangements in society that are both emergent from and determinant of the actions of the individuals.